The American Girl phenomenon… 30 years and going strong. Our daughter, who’s now seven years old, is crazy about her dolls and the whole American Girl experience. We do not leave on a trip without a doll in tow. And the doll’s backpack, several outfits, pajamas and accessories… As a mom, what I love about the brand is that they do a fantastic job of promoting a positive image for girls, from diversity to brains. You can even build your daughter her own “mini-me” doll by choosing the hair, skin and eye color, plus add on glasses, braces or any number of accessories. After all, doesn’t every little girl wish for a doll that looks like her? For those of us living in Arizona, we have been forced to travel elsewhere to get the full American Girl treatment (and the doll’s hair done in the salon!) until now… This last week, our first American Girl store opened in Scottsdale at Scottsdale Quarter. Yay! My daughter and the thousands of girls that turned out for the grand opening over the weekend are thrilled. The opportunity to jump on the American Girl bandwagon doesn’t stop there. 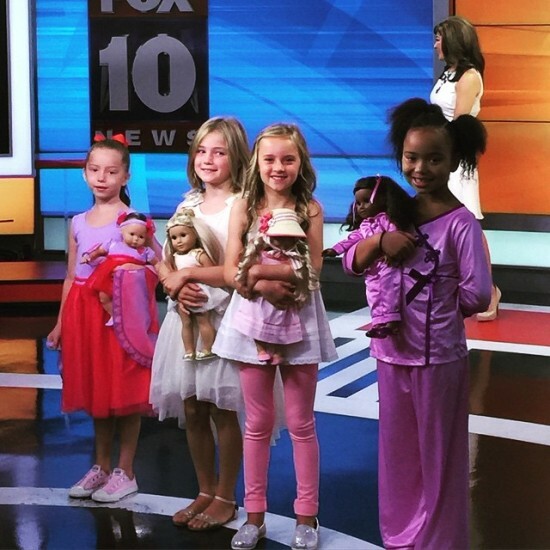 I’m excited to be working personally on the official American Girl Fashion Show – Phoenix fundraiser to benefit one of my favorite non-profits, the Phoenix Children’s Hospital Foundation. Specifically, the Emily Center at the hospital that offers free pediatric health information to families that need it. And, yes, you guessed it Arizona moms, your daughter can audition to be a part of this major event! The first casting call was this weekend, but the second casting call is still coming up on Sunday, August 30 from 2-5 pm. 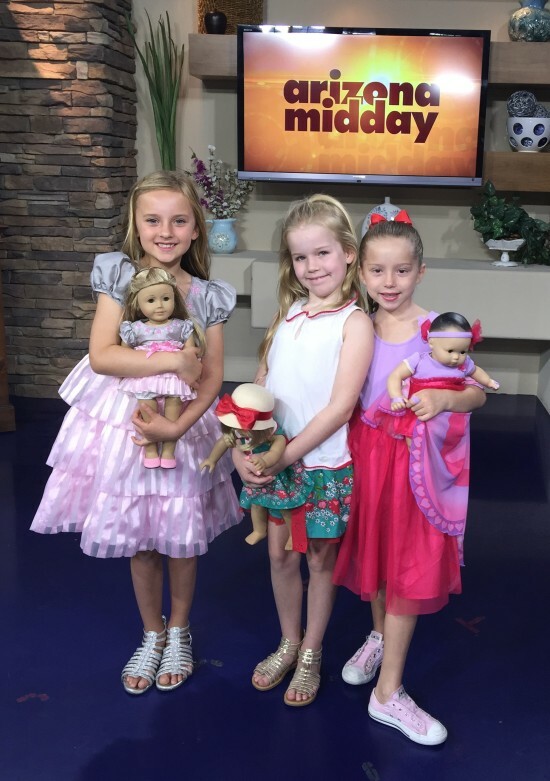 Watch the cuties in the Arizona Midday segment that aired on Friday for more info or visit the Phoenix Children’s Hospital Foundation site for details. Plus, make sure to follow the event on Facebook for updates on when tickets go on sale to attend one of the actual fashion shows on December 5 and 6. Here’s to our strong, smart girls growing into strong, smart women! On set at Channel 12’s Arizona Midday. In the FOX 10 studio earlier in the day and ready to go live!